Addiction is often viewed with a narrow lens of those suffering from substance abuse conditioning and yet that is so narrow to the suffering which is being felt by almost all humans. Yet some might argue that everyone has the addiction to desire. It appears those who are addicted to dangerous substances and those who suffer from the common ailments of life such as relationship, work, fulfillment issues, etc. are not all that different. 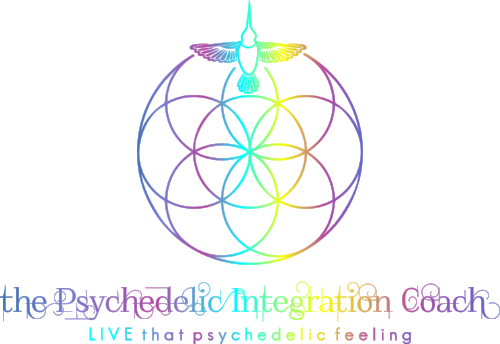 Psychedelics have been used as agents of personal and collective healing and transformation for generations, providing an awareness of the core psychological issues that are at the root of suffering, affecting behavior and the human experience. This workshop will expound upon the universality of the nature of addictive conditioning and how psychedelics and mindful integration are potentially some the best tools for growth and liberation from addiction. Note: this workshop is educational only and does not include administration/use of substances of any kind. Charles Johnston has spent the last decade exploring the realms of consciousness after avoiding any altered states until the age of 22 due to a Mormon upbringing. Once the cracks appeared in the glass house reality it wasn't long before the shards of reality were littered in his wake. Going full force into experiencing all he could and with no guide other than Erowid, he extracted, grew, and experimented with any substance he could acquire. The freight train of life hit a rerouting and stopped in the middle of the darkness of heroin addiction. 3 years later, a journey to Mexico to treat his addiction using Ibogaine was left as a last resort. Now 6 years following this life-altering treatment, Charles has developed Ibogaine clinics, owned and operated an Ibogaine aftercare center, participated in the development of the world's largest plant medicine center, and now has been traveling down to Peru and Mexico for the experiencing and sharing of Ayahuasca and Sapo (Bufo). He is passionate about integration in a way that can only be seen through the lens that he has been constantly integrating on his own and with others for the last decade, through all the transformative experiences life loves to offers us on a rainbow-hued silver platter.